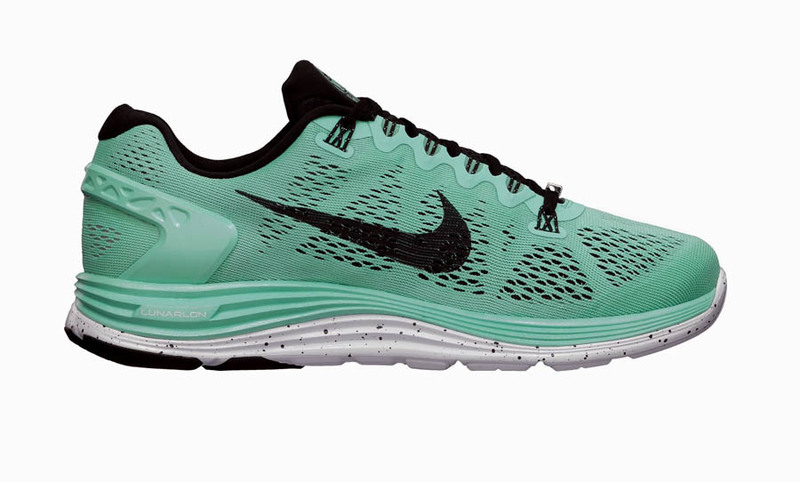 A special Lunarglide+ 5 for this year's San Francisco Women's Marathon. 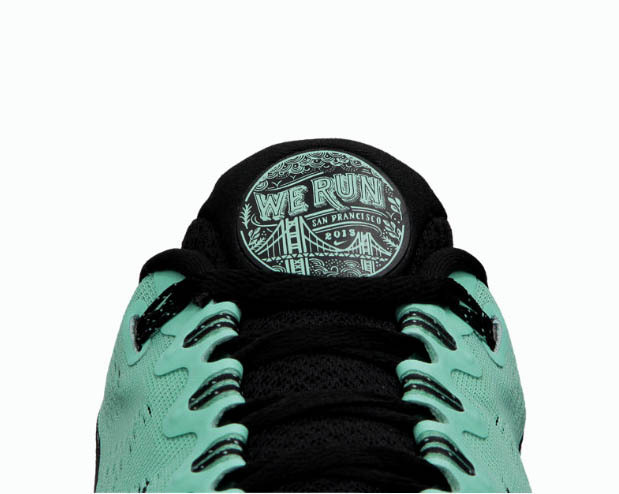 Just ahead of next weekend's annual Nike Women's Marathon San Francisco, the Swoosh is making the special edition Lunarglide+ 5 available to all. 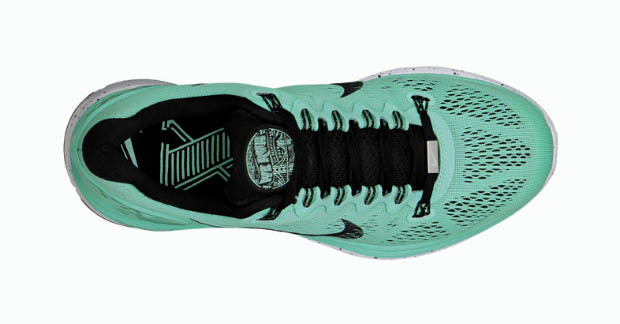 This women's Lunarglide+ 5 features a now-traditional colorway for The City's special edition marathon shoe in Tiffany teal with accents in black. Speckling in the midsole and a special graphic on the tongue complete additional features outside, while a special "X" graphic on the insole commemorates the race's 10 year anniversary. The San Francisco Nike Women's Marathon Lunarglide+ 5 (Tropical Twist/Black/White) is available now online at Nike Store.